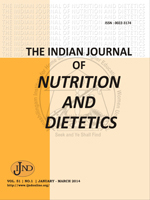 In the present study, development of electrolyte drinks from paneer and cheese whey was carried out by enzymatic hydrolysis of lactose to simple sugars and formulating the sugar to salt ratio to meet the World Health Organization (WHO) requirements (245 mOsmol/L) for Oral Rehydration Salt (ORS). Lactose hydrolyzed whey was diluted (1: 2.3 v/v) using potable quality demineralised water to achieve reduction in osmolarity of 75 mOsmol/L. The salt concentration was adjusted by adding 3.25 g sodium chloride and 0.8 g potassium chloride for paneer whey (per L) and 2.5 g sodium chloride, 0.9 g of potassium chloride and 1.5 g of trisodium citrate for cheese whey (per L) to meet Na, K and citrate levels in the resultant whey drink as per WHO requirement. Other additives used in developing hypotonic electrolyte whey drink from lactose hydrolyzed whey systems were sucralose (sweetener), citric acid (acidulant), orange flavour and orange colour. The formulated hypotonic electrolyte whey based drink had significantly higher sensory scores when compared to the scores of two commercial orange flavour ORS drinks. Cheese whey based electrolyte drink was superior over paneer whey based electrolyte drink in sensory characteristics; former drink had better consistency and mouth feel. Paneer Whey, Cheese Whey, Osmolarity, Formulation, Rehydration Drink, Electrolyte.